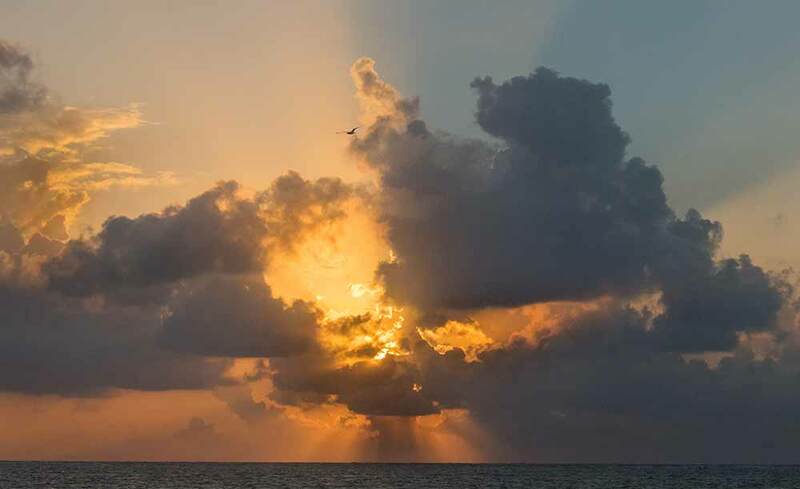 Belize NMS: A moderate east-northeasterly airflow will dominate our weather. 24-hour forecast: Sunny skies with a few cloudy spells today and partly cloudy skies tonight. A few showers will occur mostly over central areas this morning and over southrn areas tonight. Elsewhere showers will be isolated. General Outlook: For Sat. and Sat. night is for some cloudy spells with a few showers mostly over central and southern areas of the country. Today E-NE 10-20 kts Choppy 3-5 ft ISOLATED SHOWERS. Tonight E-NE 10-20 kts Moderate 4-6 ft A FEW SHOWERS MOSTLY SOUTH. Tomorrow E-NE 10-20 kts Moderate 4=6 ft A FEW SHOWERS. Outlook E-NE 10-20 kts Choppy 3-5 ft A FEW SHOWERS MOSTLY SOUTH. 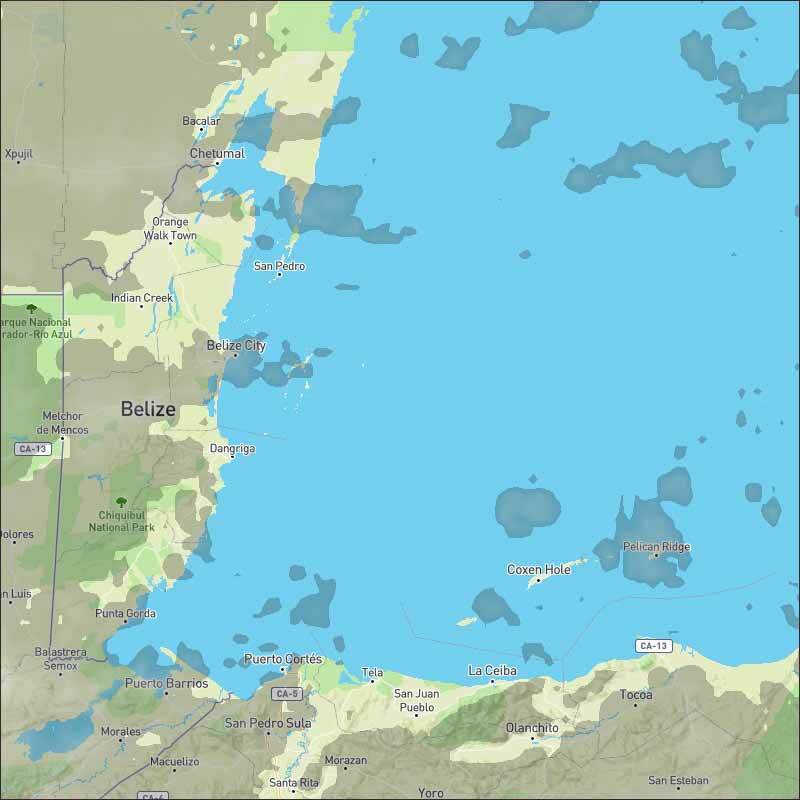 A Gale Warning is in effect for the south-central Caribbean offshore of Colombia. Refer to the section above for details. A sharp upper-level trough axis extends from the Atlantic near 29N55W to an upper-level low near 23N60W, across the Dominican Republic, to the NE coast of Honduras. The trough is forecast to continue in the same place through this evening. Isolated showers are noted across the Virgin Islands, Puerto Rico, Hispaniola and adjacent waters. Strong high pressure building across the western Atlantic through the weekend will induce strong trade winds across the S central Caribbean, pulsing to minimal gale force near the coast of Colombia each night through Tue night. A large area of fresh to strong trades encompassing most of the basin through early Mon will include the Windward Passage and S of Cuba. On Ambergris Caye this morning we have a few rain showers. The wind is from the North-NE at 10 mph. Around our barrier reef the sea is calming from yesterday's rough state. 76f. is today's expected high temperature. 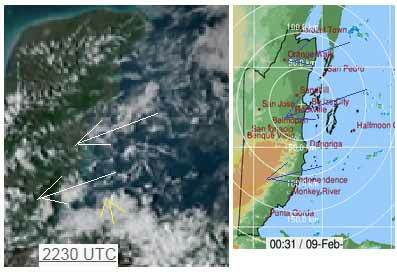 The easterly Caribbean air is getting more heavier clouds and several lines of cloud coming in over Belize. 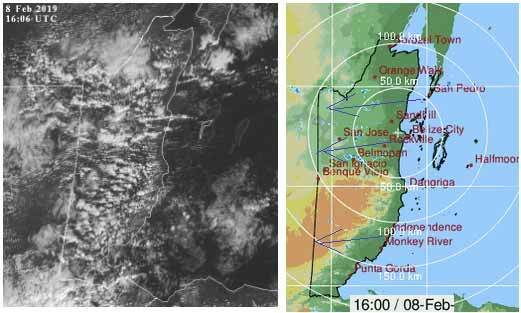 One line of cloud causing a narrow line of rain right across central Belize, almost along the western highway. Another line across the Corozal district, and several patches in southern coastal regions. The Caribbean wind is now very slightly north of due east and there is just a touch of warm air coming up from the south off Honduras way out at sea, there is more cloud around today and probably tomorrow. Looks like today will be a mixture of sunshine, cloud and patches of rain for a few people, the rain generally easing of later this morning. 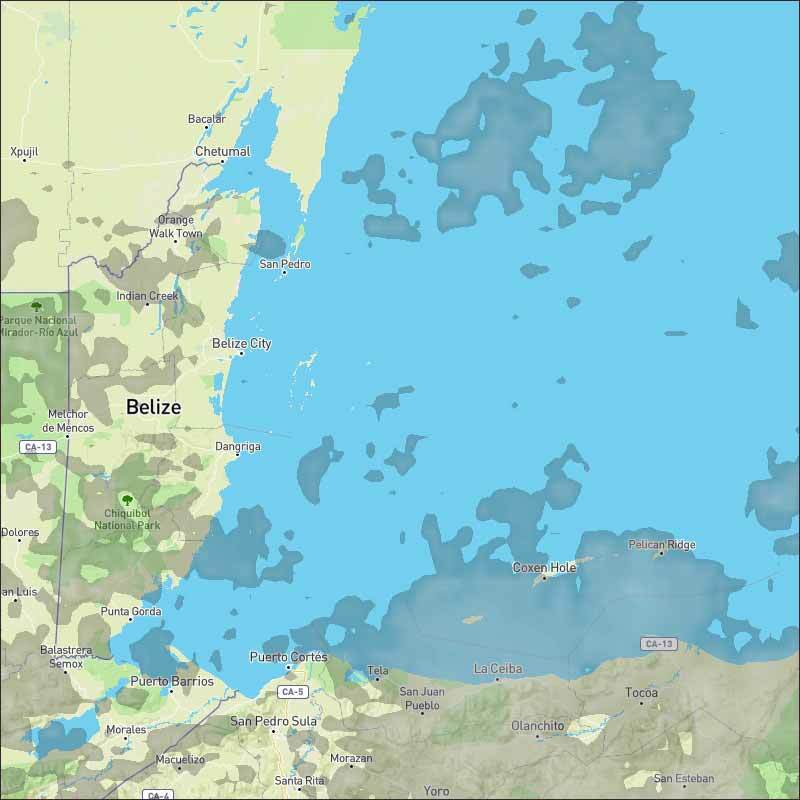 The cloud over Belize has got thicker and chunky, with only small spots for any sunshine. Scattered rain is now breaking out in many parts of north and central Belize and a few parts in southern Belize, despite largely clear skies over the sea. The cloud in the Caribbean continues, but a little less this evening, still a little rain around, but not much. Looks like tomorrow Saturday, will have significant cloud, probably some rain in the morning. Last edited by Marty; 02/08/19 07:20 PM.